The first in the trilogy featuring detective Michele Balistreri. 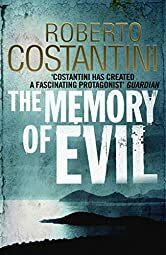 The novel's main focus is the 1982 unsolved murder of Elisa Sordi. A beautiful woman Balistrei saw while visiting his friend Angelo at the Vatican. Back then Balistrei was a handsome womanizer with no shortage of ladies vying for his attention. He also drank too much and his priorities were all self-satisfying. His lackluster investigation into Sordi's mysterious disappearance left him feeling horribly guilty when her mutilated body was pulled from the river. Fast forward 24 years Balistrei is in charge of a special unit that requires him to balance police work and politics - which is like trying to walk a high-wire with no safety net. Balistrei has matured as an investigator, as well as, a man. He knows his limits drinking and no longer changes women like socks. So when women are once again being murdered at a time when the whole country is hyped up with World Cup Craze - Balistrei has a feeling of de'ja-vu. He sees many similarities to the unsolved case of Elisa Sordi. Then to add insult to injury, Elisa's Mother commits suicide. Balistrei is determined to find out who killed Elisa Sordi way back in 1982 and why. He begins digging...uncovering lie upon, lie with connections to the Vatican and the Italian government. He continually reminds himself to keep an open mind, that things are not always what they seem. When Linda Nordi, an investigative reporter joins Balistrei in his hunt for a killer or killers, she knows things...things that were supposed to be withheld to maintain the integrity of the investigation. Even though he is unsure of her motives he has feelings for her, which could easily cloud his judgment. This is not your typical fast action thriller. This is a long, literary, crime novel that explores the difficulties of keeping an open mind amid political and religious pressure. Flawed characters that make mistakes - allowing personal prejudice, religious convictions, and even racism to influence their decisions. At 576 pages you have to commit to the story - I almost gave up once or twice. I got bogged down in the beuricratic red tape. But I'm glad I stayed with it. Because there's a depth to this novel that is rarely found in a "whodunnit." If you like police procedure, conspiracies, and cover-ups, you will like this book. If this one hooks you, the other books starring Michele Balistreri are available. I did enjoy this book, it's different from what I usually read and I like mixing things up, experiencing stories that are written in a new style. 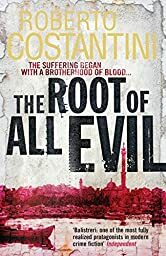 Costantini started out with an extremely ambitious novel and was able to keep it together. I look forward to the next story, if only to see if the writing matures like his main character Balistrei. Give it a try, you just might get hooked! *Review copy provided courtesy of Amazon Vine. GREAT review! Thanks for introducing me to a new author. Now I have some catching up to do.